Playground update: Tolt MacDonald now open! Tolt MacDonald Park – Now open! See photo above. Big Finn Hill – The lower playground is scheduled to be closed starting Wednesday, September 21. Depending on the weather, construction should be complete in 2 months. The upper toddler playground will remain open during construction. 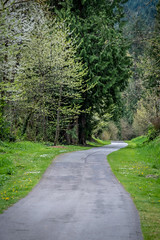 *** This project is funded in part by the voter-approved 2014-2019 King County Parks, Trail and Open Space Replacement Levy. Thank you for your support! For more information on the program and other capital improvement projects click here.